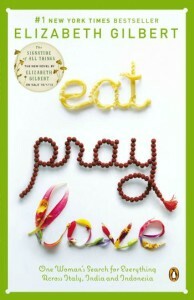 Reba Riley was raised in an Evangelical Pentecostal household where they used Jesus-themed paper napkins. After high school, she went to ministry training but started questioning her faith when her parents got a divorce. Later, when she left the Church, she experienced a total loss of identity or, as she likes to call it, post-traumatic church syndrome. Then she started to feel really sick, and doctors were not able to provide her with a diagnosis. This debilitating chronic illness that lasted almost 10 years prompted her to go on a quest to find her spiritual self: on her 29th birthday, she decided to experience 30 religions before she turned 30. Post-Traumatic Church Syndrome is Reba Riley’s first book, a memoir about her path to healing both spiritually and physically. 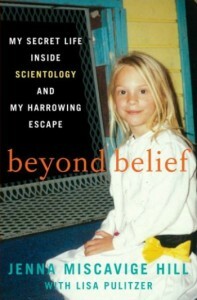 She explores different faiths from Scientology to Hinduism, and from Buddhism to Islam. Her journey leads her to a drive-in church, psychics, a sweat lodge, and a virtual reality church. She even fasts for 30 days which is an incredible feat all by itself. 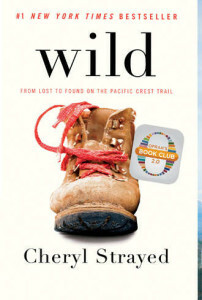 Throughout the book, the author writes about her experiences with honesty and humor. She is not afraid to make fun of herself while at the same time being respectful of each new faith that she visits. Personally, I would have liked a little more background information about the different churches she goes to, but I understand that she could not do a lot of research because of her illness. In addition, the book would have been a lot longer if she went into more details. 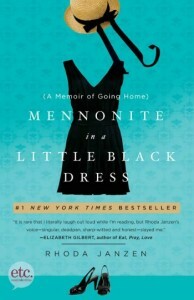 On the whole though, this memoir will appeal to readers who are going through their own faith crisis or people who are curious about the different religions that exist out there. 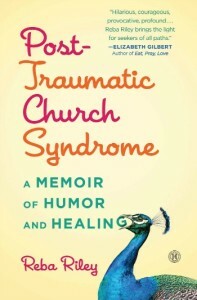 Post-Traumatic Church Syndrome was sent to me for free in exchange for an honest review. About the author and her work: Reba Riley’s Website. Reba Riley was not allowed to watch the Smurfs when she was a child as they were considered demonic by her church. Because the word “God” was too emotionally charged for the author, she started to call Him Sam instead, and then invented the word “Godiverse” (God + universe). Reba Riley finds labyrinths soothing and likes to walk their paths while meditating. The author has a blog on the Patheos website.